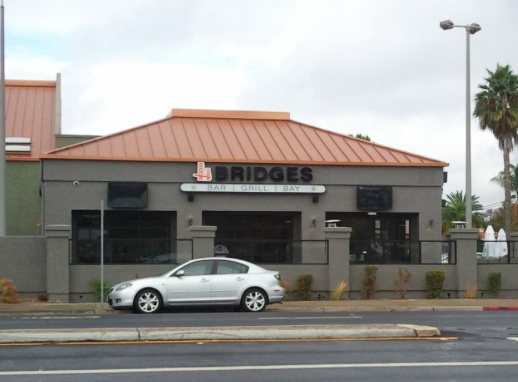 Social Tap has taken over the lease at the former Bridge's Bar & Grill space at 4800 Art Street in the College Area near San Diego State University to open a second area location of its popular sports bar concept. 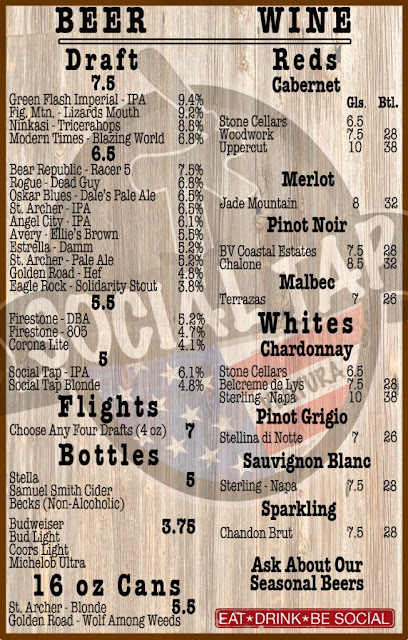 It's been only a year since Social Tap opened at its ballpark-adjacent space in San Diego's East Village. The College Area opening will mark the fourth Social Tap location, the second in San Diego, with the original being in Ventura, CA, and a location in Scottsdale, AZ that was opened earlier this year. The food menu at Social Tap is made up of build-your-own salads, burgers, sandwiches, an array of tacos and burritos, rice bowls and entree plates. 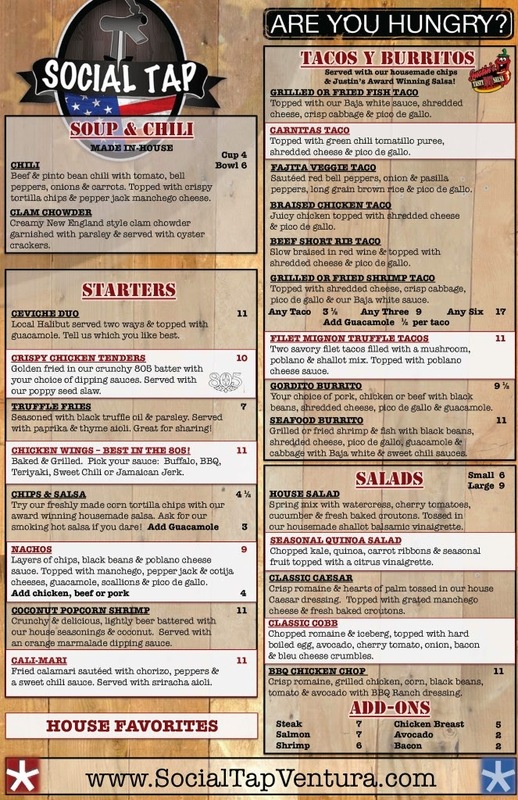 Standouts include the beef and manchengo melt with sliced Brandt beef with a mushroom, poblano and shallot mix, manchengo cheese, fried shallots and horseradish aioli served with au jus; the buffalo and bleu burger with a half pound bison patty topped with bleu cheese, tomato, mixed greens, fried shallots, and mustard aioli on a toasted brioche bun; red wine braised short ribs with house veggies and a side salad; and the filet mignon truffle tacos with mushrooms, poblano, shallots and poblano cheese sauce. 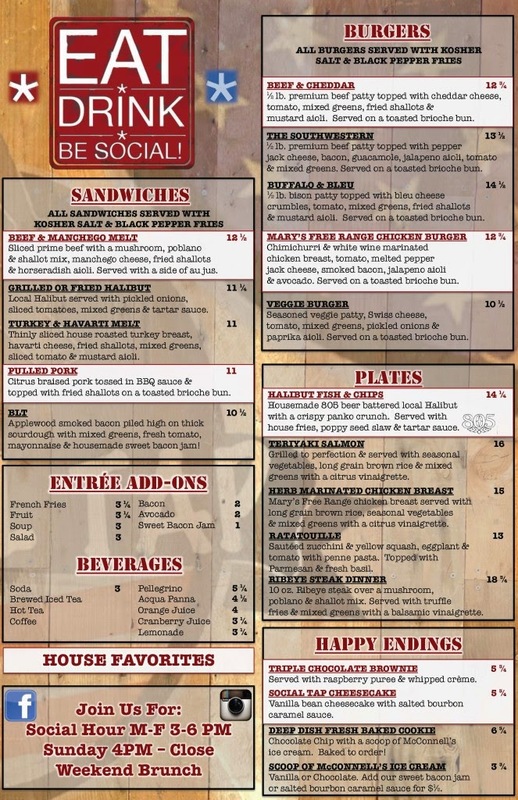 Social Tap will offer daily lunch and weekend brunch when it opens in the next couple months after an extensive renovation of the space. “We are a progressive California pub offering a menu with an emphasis on seasonal, local ingredients, gourmet street tacos, craft beer, burgers and spirits," said a representative of Social Tap. "Our flavors are bright and original at a great value." Social Tap at SDSU is currently hiring for all positions. 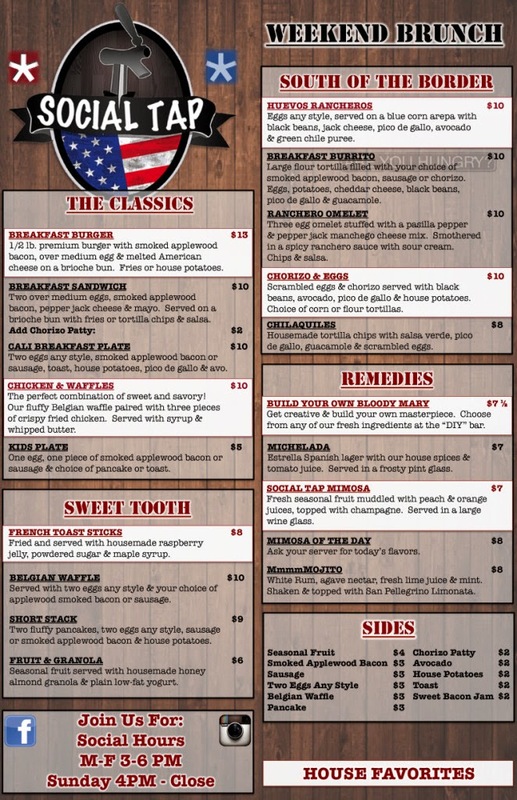 For those interested, email resume to francis@socialtapeatery.com along with the position you are interested in. 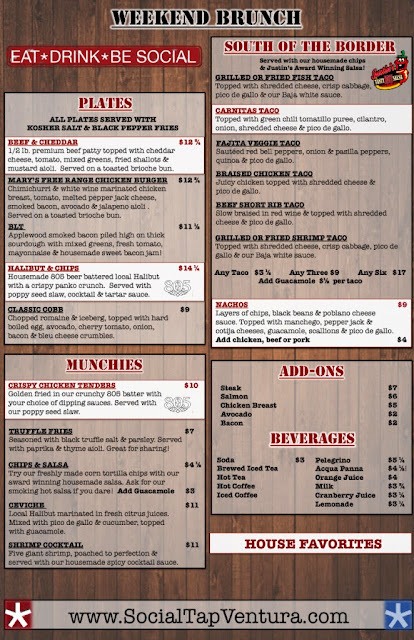 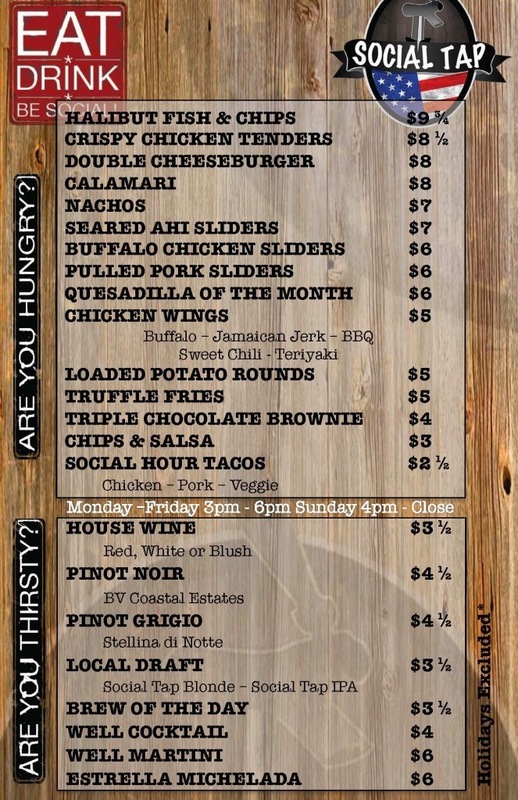 To stay up-to-date on when Social Tap will open, follow them on Facebook, and check out the working menus below.